If you’re a Seller or Vendor on Amazon, you may already know how important it is to stay on top of your Amazon Marketing Services (AMS) or Sponsored Products campaigns. To be organized and effective, you need to choose the right type of advertising technology. Today’s sellers absolutely need software to manage Amazon advertising. We’re here to help you narrow down your options. If you’re not yet convinced that you need help to manage Amazon advertising, read this first. With advertising technology, you can stay on top of hundreds or thousands of products at the same time. It’s impossible to track, analyze and act on both consumer and product data for all of your products on your own, no matter the size of your inventory. With advertising management tools, you can access reporting technology on a detailed, granular level. Vendors with AMS may find it complicated and tedious to make changes within the advertising platform. However, you won’t be able to stand out from the competition and increase traffic to your pages without optimizing your ads. Management technology limits the amount of time you spend editing your ads, and it also gives you more helpful insights than you’ll get from Amazon’s own interface. Though Sellers with Sponsored Products are able to increase discoverability and sales, they often find the reporting capabilities of the platform limited. Campaign Manager neglects to tie important data together, which results in multiple reports containing varied information. Advertising management technology is able to put data together into a single, all-encompassing report, giving Sellers the ability to take action as soon as possible. Odds are that your competitors are already using software to manage Amazon advertising. By carefully choosing a program that best analyzes and manages your products or campaigns, you’ll put yourself in a much better position to compete. Every Seller has a different reason for running PPC, whether it’s launching a new product or maximizing ads for profit. Using software you can input your product costs and set a target ACoS so there is no more guessing whether or not your ads are hitting your goals. Whether you’re a Vendor or Seller, you now know how important advertising management technology can be for your business. Here are your checklists for choosing the best software for your needs. Ad Performance Reporting: To stay competitive in a crowded market, you’ll need to access ad performance reports that can be filtered in a way that makes sense for your campaigns. Organic Rank Tracking: You’ll be able to see how Amazon ranks your products, as well as how pricing affects your organic rank and Best Sellers Rank. Product Management: Ad management software often includes advanced product management tools, like being able to add negative keywords to campaigns. Day Parting/Budget Allocation: Tracking your ad performance at different times of the day or different days of the week is crucial to your campaign’s health. Bulk Editing for Bids: Bulk editing allows you to simultaneously change your bids across multiple ad groups and campaigns. Change History: Being able to see how your campaigns have changed will tell you what has been working and which areas have needed improvement. Custom Date Ranges: This feature will allow you to see how your campaigns have changed on a daily or weekly basis. Smart Filtering: To stay on track with your business goals and continue improving your optimization strategy, you’ll want an intuitive platform that lets you filter campaigns based on a variety of fields. Quick Trend Analysis: An easy-to-read dashboard that shows account performance lets Vendors get a general overview of their sales. 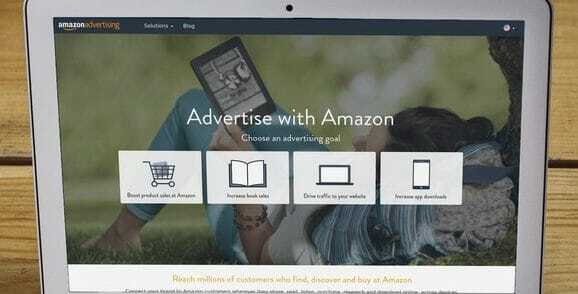 You don’t need to manage Amazon advertising all on your own. Even the hardest working entrepreneurs who know the platform inside and out can use a guiding hand once in a while, especially for the sake of maximizing their impact on the market. Schedule a Free PPC Account Audit and we’ll help point you towards faster profits.